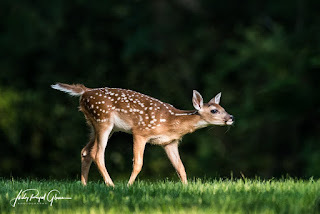 I enjoyed watching a small heard of does and their fawns while at Berry College. The fawns enjoyed playing on the green grass. I look forward to seeing them again in the spring. 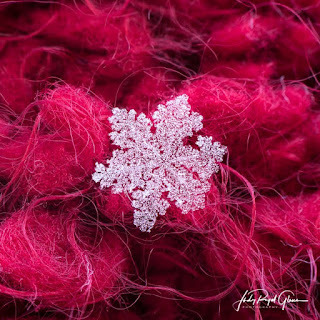 Snowflakes are all unique and beautiful too! I tried to photograph them last week when it snowed in Georgia. 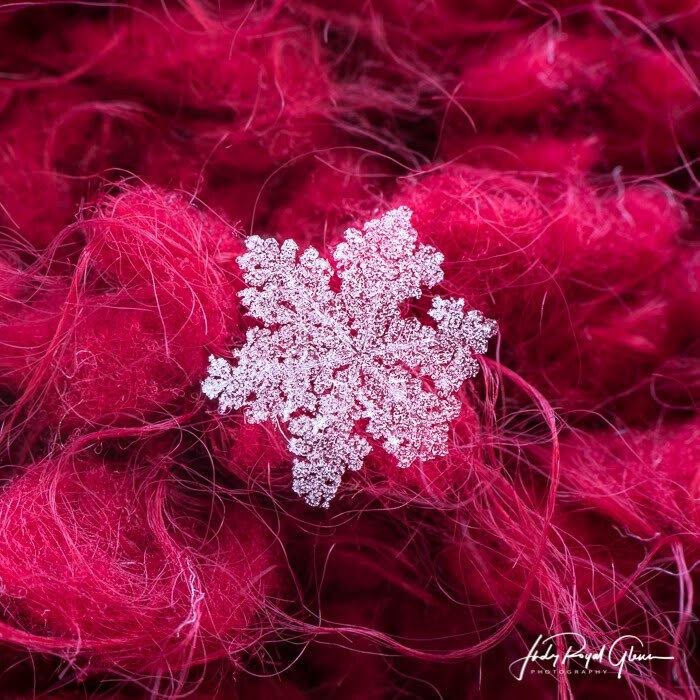 Snowflakes are unique and special, but so are you. God made you unique—no one else is just like you! I enjoyed learning how to photograph frozen bubbles—I haven’t mastered it yet. 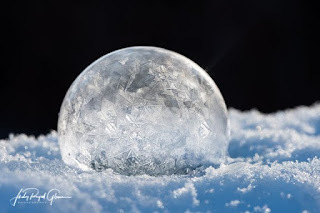 It definitely was a learning experience, but the bubble itself is a masterpiece! The fingerprint of God can be seen everywhere especially in nature. It shows us there is a divine creator. You can see it in the clouds forming to bring much needed rain, to the sun bringing the right temperature to sustain life on our beautiful planet, to the radiant colors of a sunrise or sunset, or the beauty found in the different seasons. Most of all, I see His fingerprint in the love between a momma bear and her cuddly cub. Their interaction is mesmerizing. 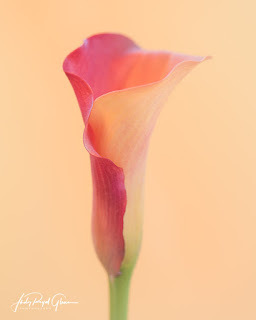 This weekend, I saw His fingerprint in the tender curves of a calla lily. The beauty found there is breathtaking. I think that is why I love photography so much. Being able to capture the beauty found in His creation brings me so much joy. I even asked Him to help me photograph this flower. If you don’t know Him personally, that is my prayer for you. He means the world to me and helps me meander through life! Where in nature have you seen the fingerprint of God? Remember this cute little ruby-throated hummingbird photo I posted a while back? I also took some video of the hummingbird and posted it on YouTube. The video is below with the backstory to the video. He is so cute as he is dancing on the sunflower! "The Dance of the Hummingbird"
Back Story: I have been shooting video with my camera for a long time—I just did not have the software to edit them. There are a lot of hummingbird videos on my YouTube account, but they aren’t edited. This past weekend, I started using editing software and began the painful process of learning how to use it. Boy, I have so much to learn! 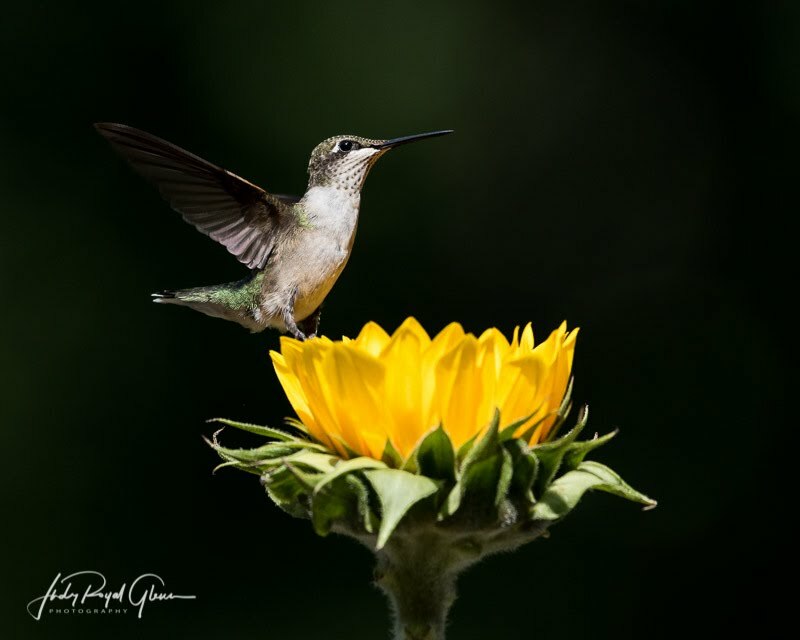 This video is a ruby-throated hummingbird, which appears to be feeding on a sunflower. Only that, there is a handheld hummingbird feeder placed inside the flower. 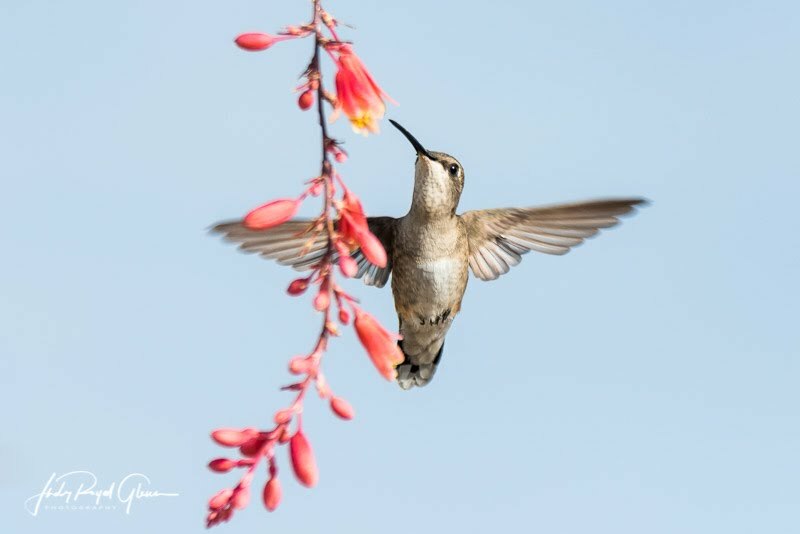 I have already trained hummingbirds to feed from my hand feeder while holding it, but this time, I wanted to photograph a hummingbird while near the flower. Once I got everything set up, Voilà, they came! They even started fighting over the flower and chased each other off. I got the shots I desired and shot video as well. To see my unedited videos, please visit my YouTube channel by clicking here. More editing videos to come in the future! What do you think about the slo-mo? A better view of the photo can be found in my original post. Click here to see it! I enjoyed photographing this black-chinned hummingbird while I was at the Chamizal National Park in El Paso, Texas. I sat at the base of a Texas Red Yucca plant for a couple of hours and let the hummingbirds come to me. Looking forward to 2018, I don’t know what the future holds. One thing I do know for certain is the Lord will be right there by my side. 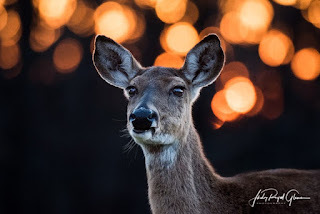 I pray before I go out to shoot and ask the Lord to show me or to bring to me what He wants me to photograph. He shows me many neat things—even miracles! I am looking forward to what He will show me in 2018.